A UK man fell from his ladder and is now unable to walk. He was on his ladder back in 2012 when he slipped, fell off his five foot ladder and fell to the ground, smashing his head on the concrete floor. 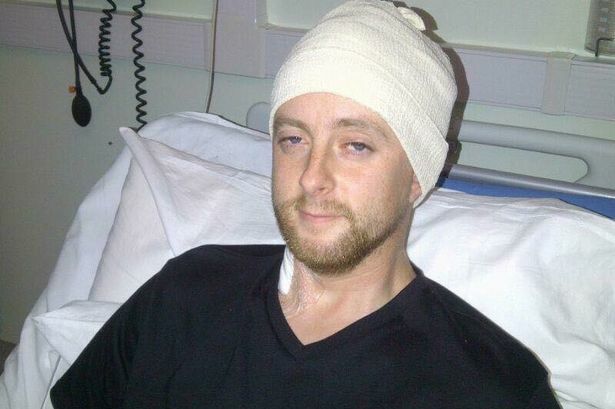 He had a five-hour operation to fix bleeding in his brain, and he was in the hospital for a month. He had trouble seeing, suffered short-term memory issues and had to learn to walk again. With the help of his parents and a lot of time (more than two years! ), the man was able to make a full recovery. In fact, this year he was even able to run a marathon. His story is a great reminder to us that, while miracles and recovery can happen, ladder-related accidents are serious and can be life-altering. Always be alert and careful when using your ladder. Remember the safety tips we share here, and climb safe!